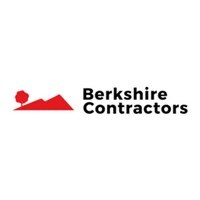 Welcome to Berkshire Contractors Ltd.
We are a small family business, customer satisfaction achieved by top quality work is our main priority. With over 19 year’s experience, we look forward to continuing our tradition of providing exceptional individualised attention to detail and unrivalled customer satisfaction, delivering a top quality job no matter the size of the job. You will have expert advice and guidance for creating your beautiful long lasting driveway, patio or garden area that will enhance your property surroundings and your lifestyle. We are paving and landscaping specialists serving a wide range of customers from private to commercial including, schools and subcontractors. We build and install all types of driveways, pavements, patios or pathways. Our paving jobs include all types of forms and shapes of paving from stretcher bond, basket weave to herringbone pattern. Besides paving we are specialized in groundwork, decking and gardening including: turfing, gravel, fencing as well as all types of brickwork.